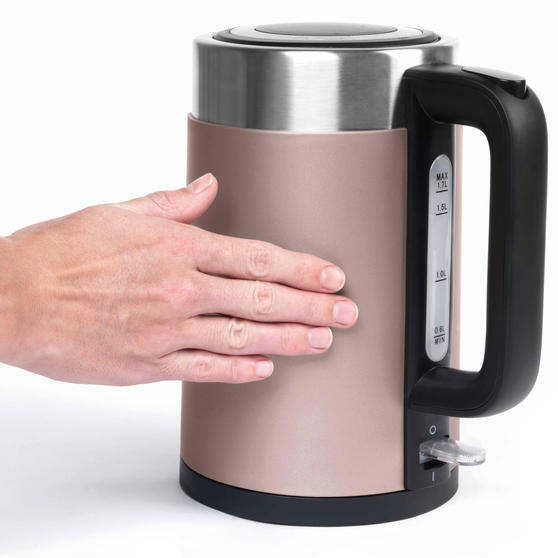 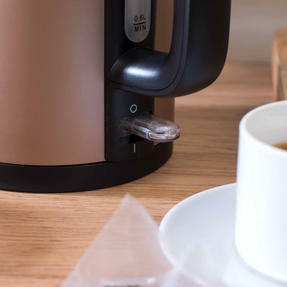 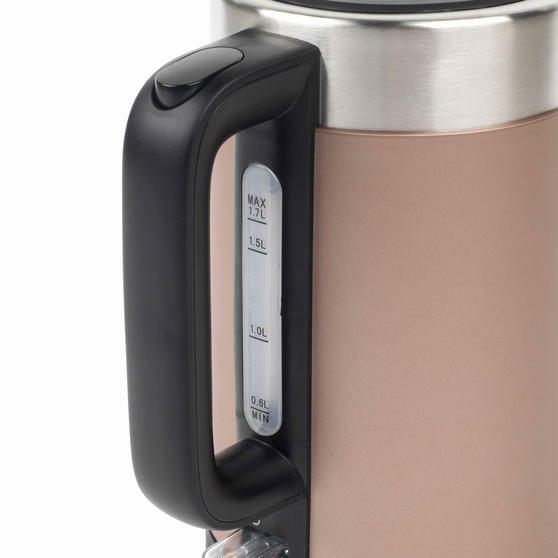 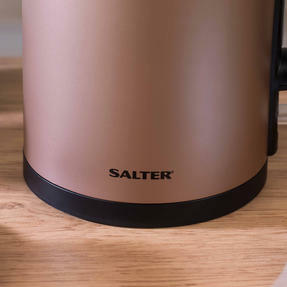 From the ultra-modern Vega collection, this Salter rapid-boil kettle has a family-sized 1.7 L capacity for boiling up to 8 cups at once, making it ideal for large households. 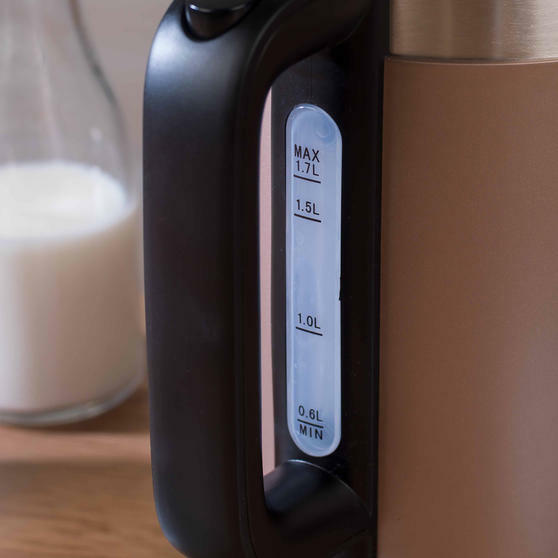 Equipped with a removable anti-limescale filter, it boasts a handy water window, cool-touch housing and auto shut-off unit with Strix controller, which contribute to a safer, more advanced design. 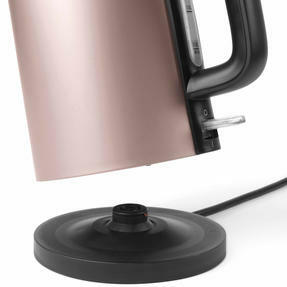 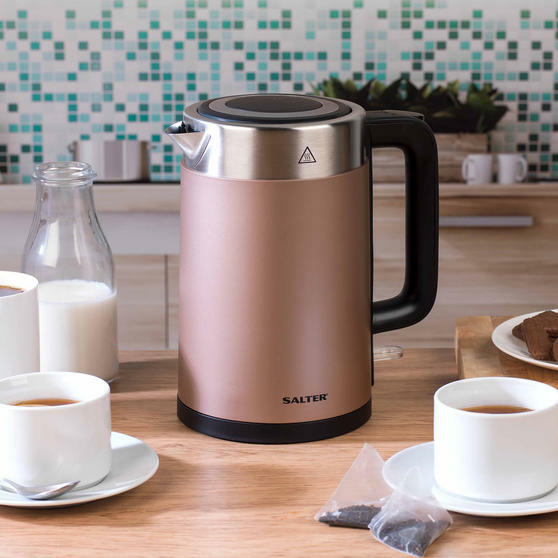 This innovative and stylish cordless kettle also comes with a 360° swivel base, suitable for both left and right handed users. 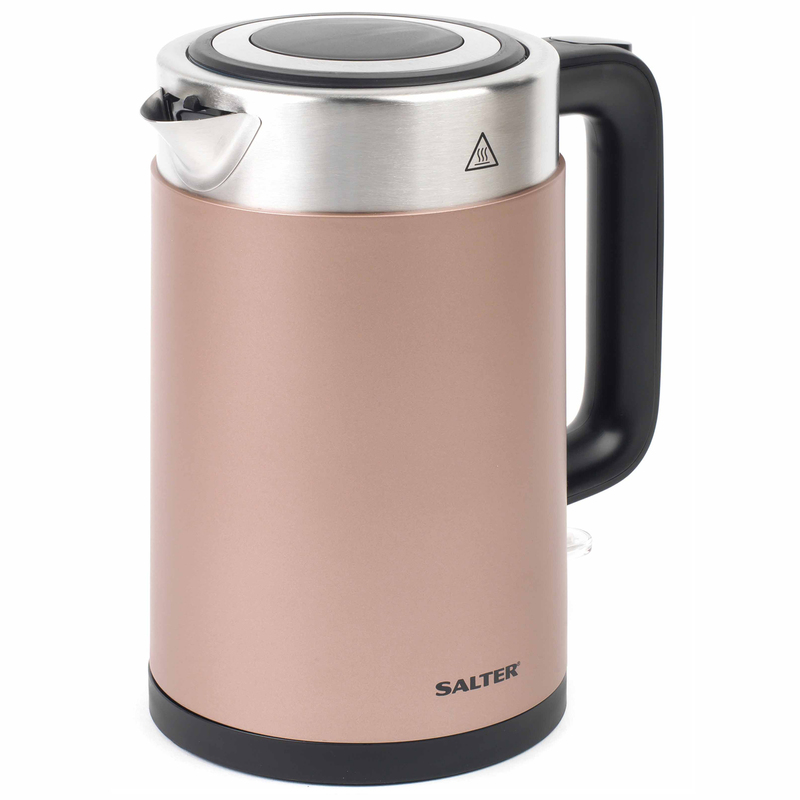 With a metallic champagne finish and 3 kW rapid boil technology, this Salter Vega kettle melds chic style with modern functionality. 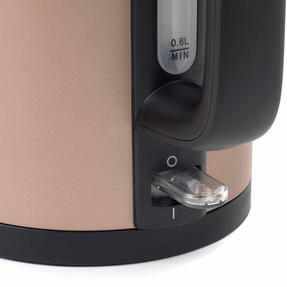 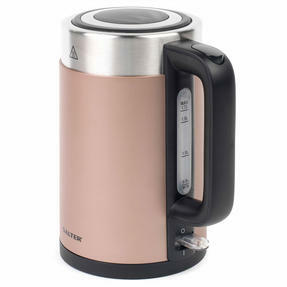 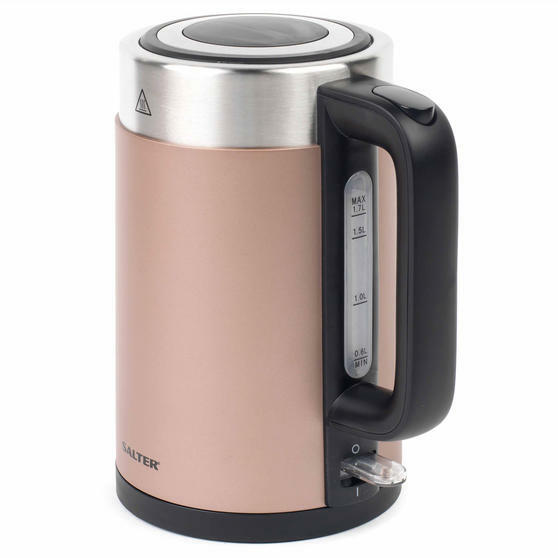 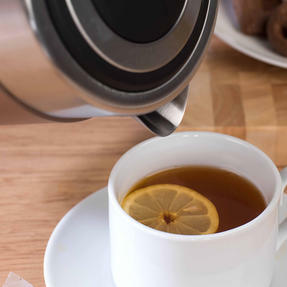 The handy cordless unit has a generous 1.7 L capacity so you can make refreshing hot drinks for the whole family with a single boil. 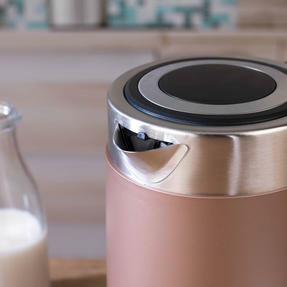 It features a washable and removable filter component which keeps your water tasting fresh, whilst preventing limescale build-up. The Strix-controlled kettle is equipped with cool-touch housing, an auto-shutoff system and boil dry protection for added safety.